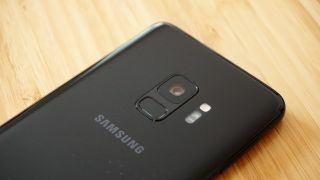 There’s no doubt that the Samsung Galaxy S10 range will be powerful. But based on a new benchmark there could be a significant difference between the power of the models using a Snapdragon 8150 chipset (which the US is likely to get) and those powered by an Exynos 9820 (which most of the rest of the world will probably get). Shared by leaker Ice universe (who has a fairly good track record), the latest benchmark is for the Exynos-powered Samsung Galaxy S10 Plus. It’s an AnTuTu benchmark showing 6GB of RAM, 128GB of storage and a score of 325,076. Now, at first glance that might look great. After all, the highest scoring Android phone currently listed on AnTuTu is the Huawei Mate 20 Pro, with a score of 309, 628, so this beats that by a significant margin. However, when you widen results out to include iOS devices as well, the score here is topped by all three of Apple’s latest phones, with the iPhone XS taking the overall top spot at 352,405. Given that the iPhone XS will have been out for a good few months by the time the Galaxy S10 Plus arrives that’s not great. Though it’s not that surprising either – Apple’s phones often beat Android in benchmarks. That’s not all though. We’ve already seen a leaked AnTuTu benchmark seemingly for a Snapdragon 8150-powered device and that came away with a score of 362,292. That’s substantially higher than this latest benchmark and even has Apple’s phones beat. So if these benchmarks are real then the Snapdragon model of the S10 could be noticeably more powerful than the Exynos version. That’s perhaps not surprising when you consider that in some ways the Snapdragon 8150 seems to be a more advanced chip – it’s rumored to be a 7nm one, making it smaller and likely more efficient than the 8nm Exynos 9820. Of course, one or both of these benchmarks might be faked and even if they’re not they’re presumably based on pre-release hardware, so they may not be entirely representative. Benchmarks in themselves also aren’t always the best indicator of performance, and even this latest score is still very high, so both models should be among the most powerful phones around. So we wouldn’t worry too much, but if these differences pan out it’s sure to still be a disappointment to buyers outside the US.